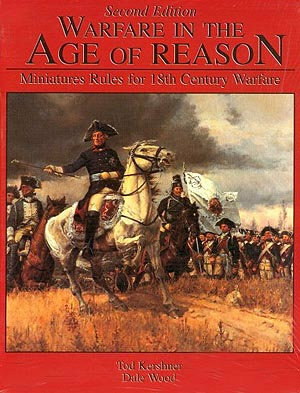 I got into miniatures wargaming through a combined set of interests I developed as a kid: history, role-playing and scale modelling. 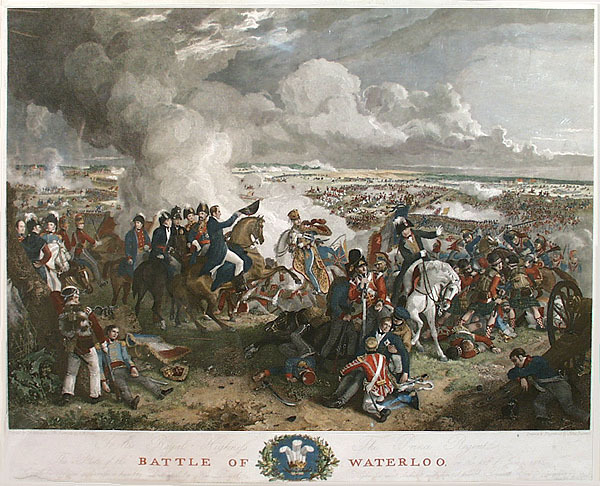 One of the aspects of gaming I enjoy is setting up a realistic and engaging tabletop battlefield, both for the visual effect but also to reproduce the playable advantages and challenges found in waging scenarios within scenery. 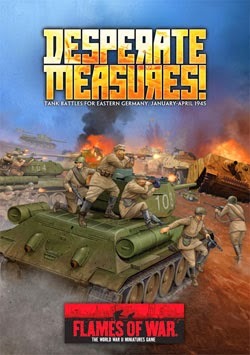 I’ve been searching high and low for an affordable and well-made set of buildings to add to my 15mm Flames of War World War II gaming set in the post D-Day Western Front. Battlefront Miniatures, the makers of Flames of War, launched their own series of buildings last year. The pre-painted buildings are beautiful, albeit a bit too perfect and pretty expensive at $40-50 each. 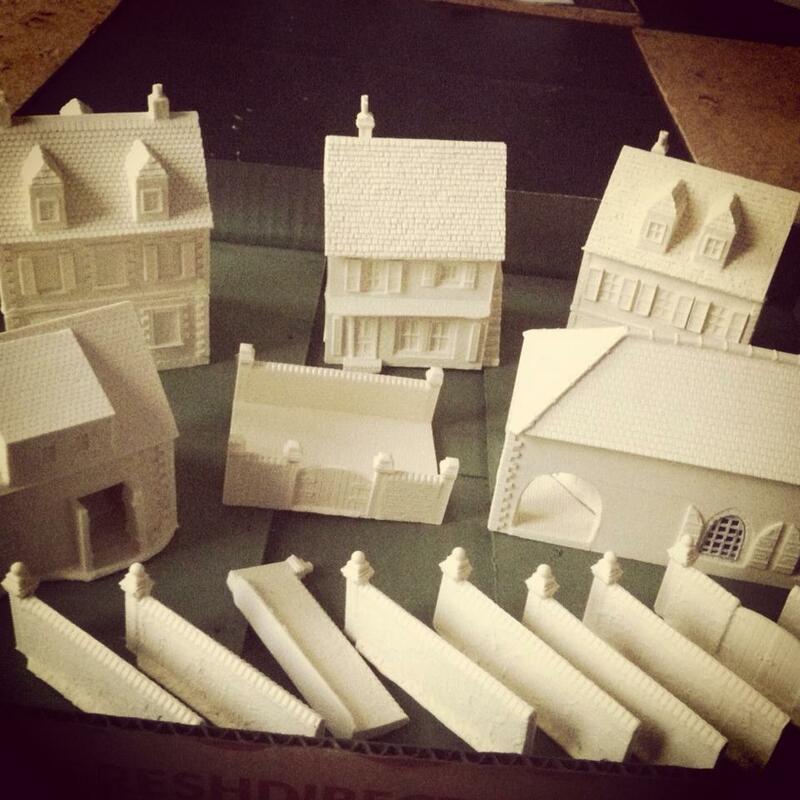 Miniature Building Authority (MBA) has been a long-time producer of fine pre-painted buildings. Like the structures from Battlefront, MBA models feature removable roofs but also convert into ruined bombed-out versions. At $40-50 for single large buildings or for pairs of smaller ones, the MBA buildings are also pretty pricey. MBA keeps a small line in stock, but they have dozens of out-of-production models which you can also find at conventions and occasionally online. 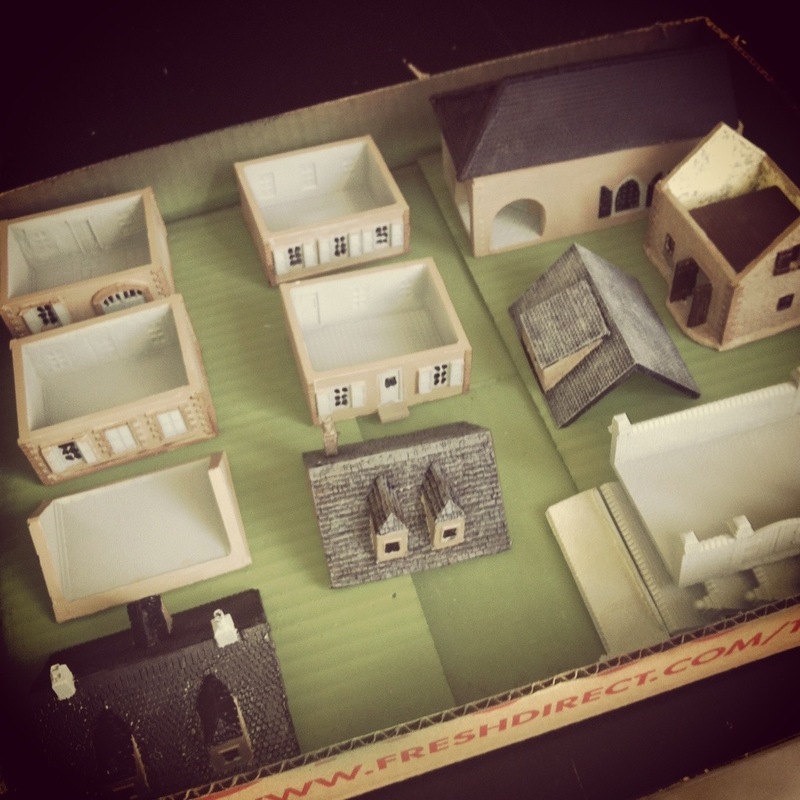 JR Miniatures is another standby in the industry, but I find their relatively low-priced line of buildings is a bit of a mixed bag in terms of casting and playability. With building up my gaming real estate on my mind, I posted to the message boards at The Miniatures Page. 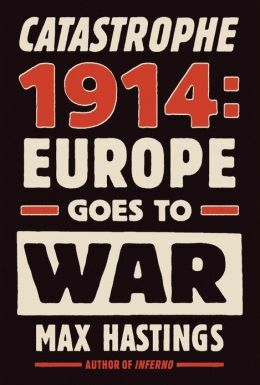 Some suggestions pointed to the above manufacturers, but several posters also mentioned Mark IV Miniatures. The company is run by Jeff McCarron, a second-generation gaming modeller out of Colorado who obviously puts great care and passion into his work. McCarron sells his models directly and distributes them through Musket Miniatures, and I found him to be incredibly responsive to a couple questions I had before ordering. As it turned out, a fellow member of Metropolitan Wargamers had recently picked up the large church model and a couple houses from Mark IV. After playing with his models during our big Summer FOW event and Barkmann’s Corner scenario at the club, I decided these were the buildings to sink an investment into. I decided to go with several two and three-story buildings, a barn, a courtyard and some walls, all ordered from Musket Miniatures. With all these models, I’d have the flexibility to set up a fairly decent-sized town or play with them as a separate farm estates. The castings arrived clean and required little tidying-up of residual flash with a knife. I did have to put in a bit of work gluing plastic tabs to the undersides of the floors and roofs to provide a snug fit for each story of the buildings. The larger one-story bank building also required a wall and metal cast windows to be glued in place. For painting reference, I searched online for photos of European villages. After a light grey spray basecoat, the stucco walls of the buildings were dabbed with a bit of foam sponge in sandy gray-brown stucco and then dry-brushed with an off-white paint to add variety to the wall surfaces. Exposed stonework, the courtyard cobbles and masonry details at the corners, doors and windows all got combinations of varying shades of grays, browns and whites to create some depth. 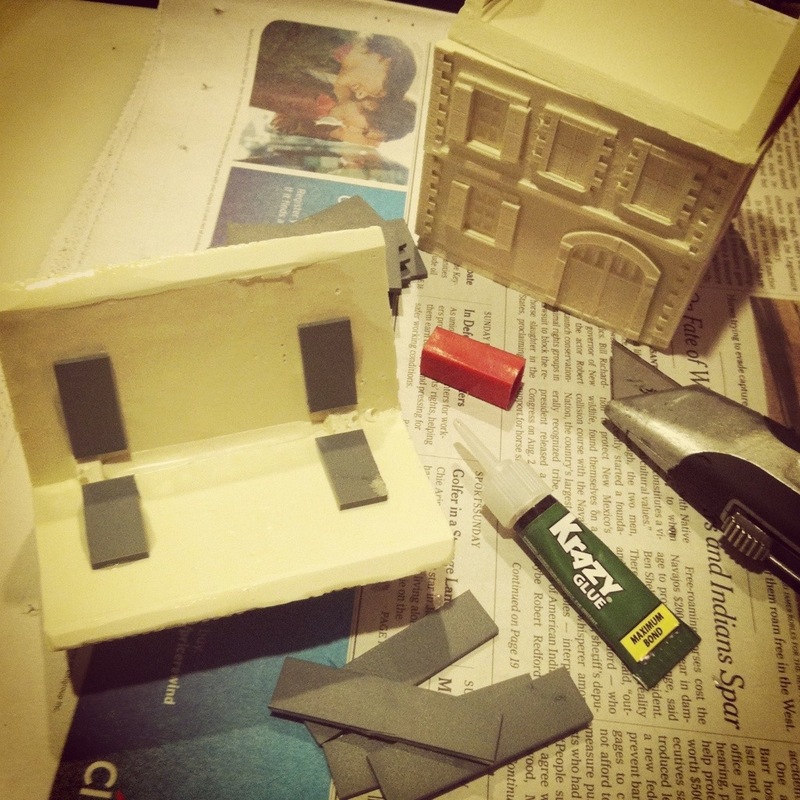 Shutters, doors and windows were painted with dull blue, white, green and red trim, mimicking some of the variety in paint schemes I had found in photos online. For the roofs, a black undercoat was dry brushed in a couple shades of grey with a bit of browns and dark green shades mixed in. On the barn model I glued on some thin pieces of lichen to add the look of vines covering part of the walls. The walled courtyard and modular wall sections got a two-part paint scheme over the gray primer. A watered-down brown-black wash over the bricks and cobbles filled the cracks with a dark shading finished-off with an off-white dry-brushed highlighting coat. The courtyard and wall gates started with a dark brown base with a lighter brown adding aged detail to the wood. Iron hinges got a black undercoat with some rusty metal dabbed over it. The result was some very realistic stone and brickwork walls. I couldn’t be more pleased with the buildings. 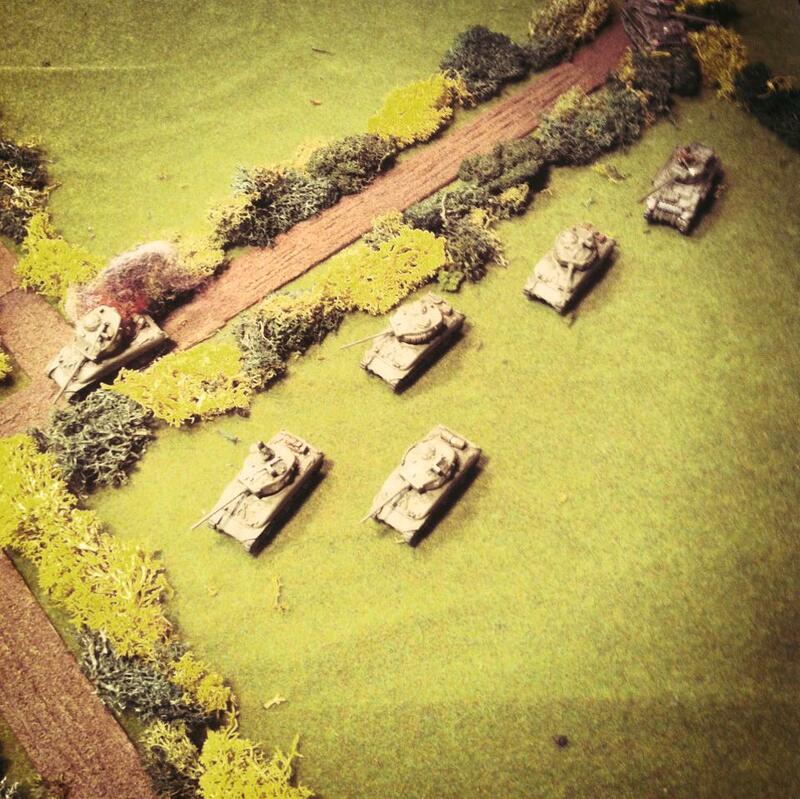 They’ve already seen some action on the tabletop in my recent Singling ’44 game and combining them with my existing trees, roads and lichen hedgerows really brings the battlefield to life. I’m already eying a few of the other models offered by Mark IV, including some ruined versions of the same buildings which come cast in some exciting bombed-out interior detail. 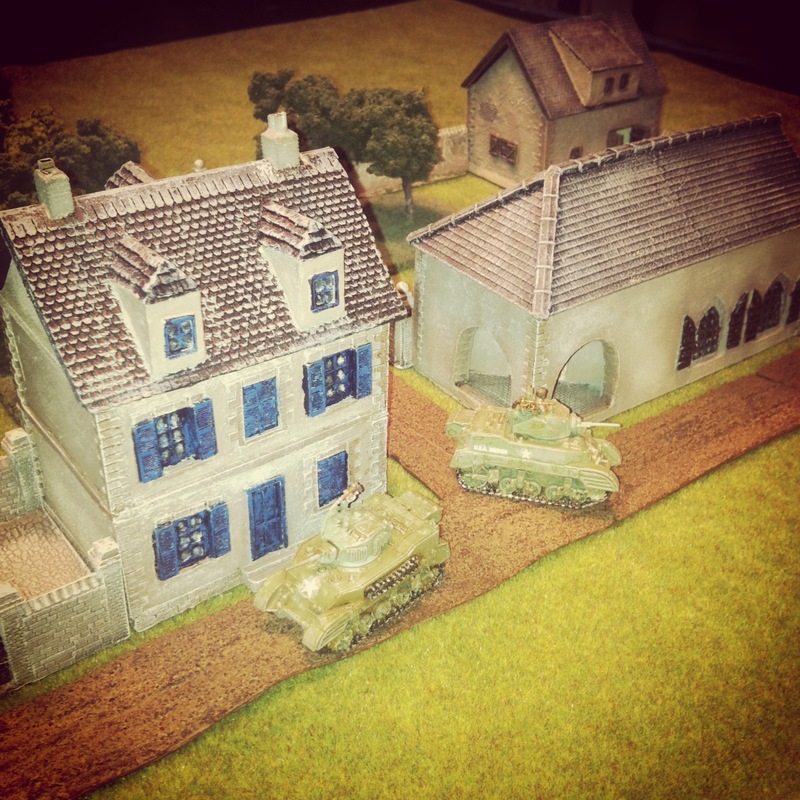 At Metropolitan Wargamers, there’s some early plans being laid for another big day of gaming to coincide with the fall’s Flames of War Tanksgiving 2013 event and there’s certain to be plenty of WWII action before then. With my new buildings from Mark IV on the table, these miniature landmarks are certain to add even more depth an interest to all out future games. Ernst Barkmann was one of the top German tank aces to fight in World War II. 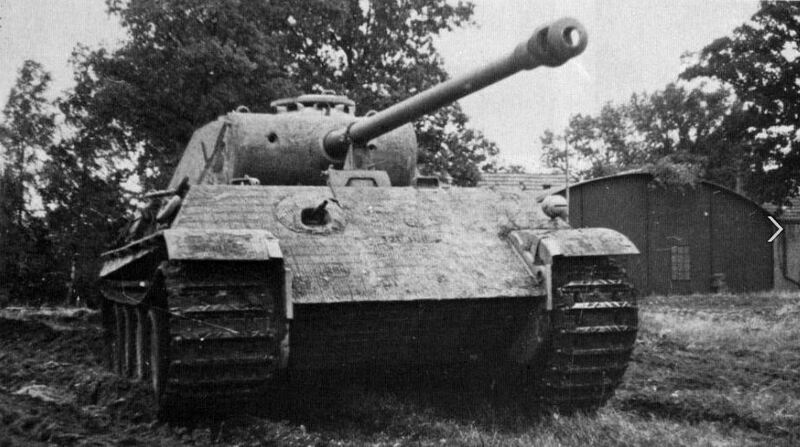 Commanding a Panther tank, Barkmann served throughout the entire war on both the Eastern and Western Fronts. Not only was he deadly while at the command, but his crew became adept at making on-the-fly field repairs and getting back into action. By the time he surrendered to British forces in the spring of 1945, Barkmann had become one of the most decorated German tank commanders of the war. He was not yet 26 years of age. Flames of War offers a special Ernst Barkmann warrior set which includes Barkmann commanding his Panther plus a separate mobile repair shop. 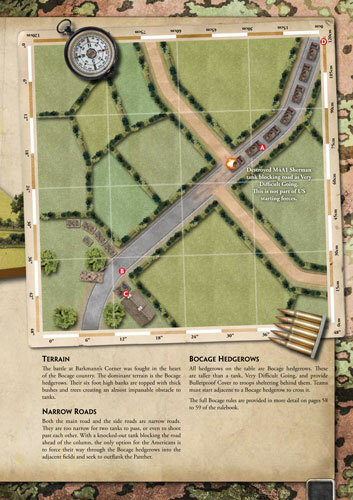 FOW also provides free scenario rules for the famed “Barkmann’s Corner” engagement from July 27, 1944. 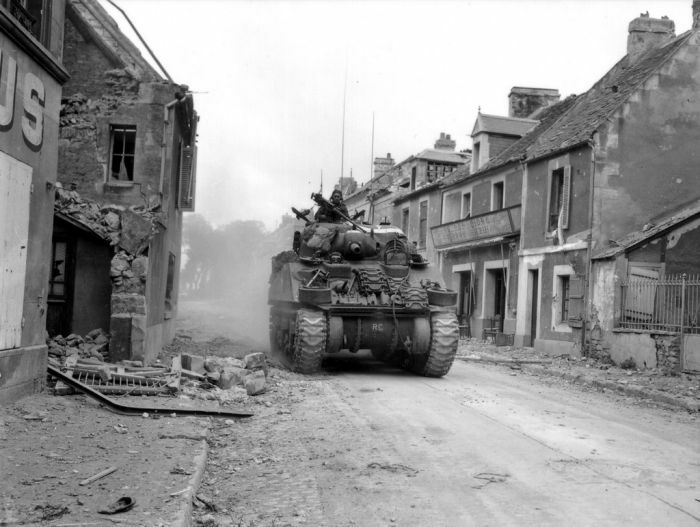 Fought in the Normandy region of France, the small battle is a classic in which Barkmann’s single tank went up against a column of over a dozen US Sherman tanks. In the end, nine Shermans and other vehicles were destroyed before Barkmann was able to slip away to safety. 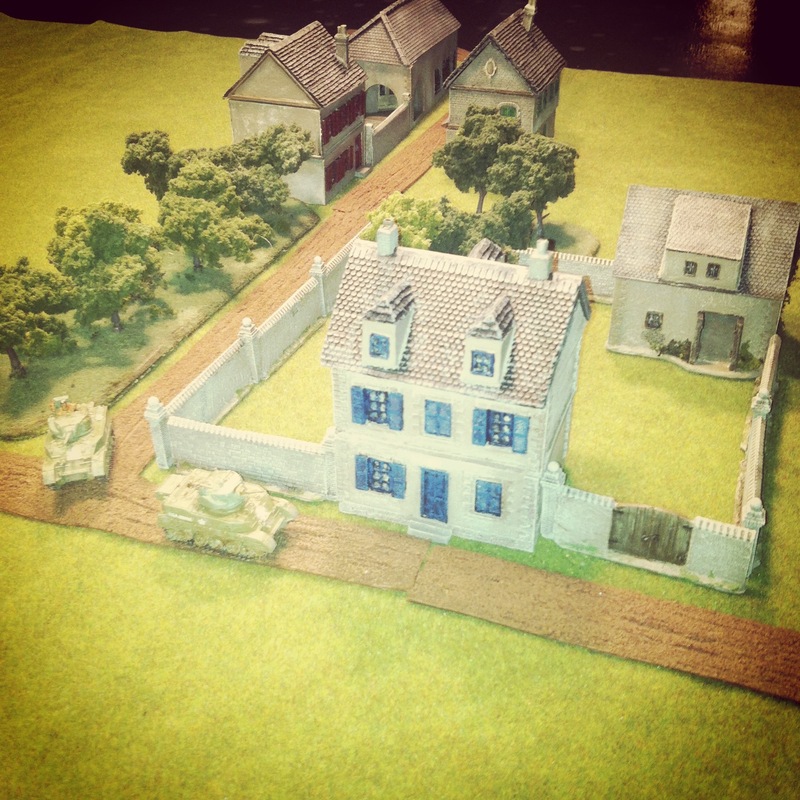 I’ve had the Barkmann model painted up for a few years, but I had never fielded it in a game of his most famed run-in with the Americans. 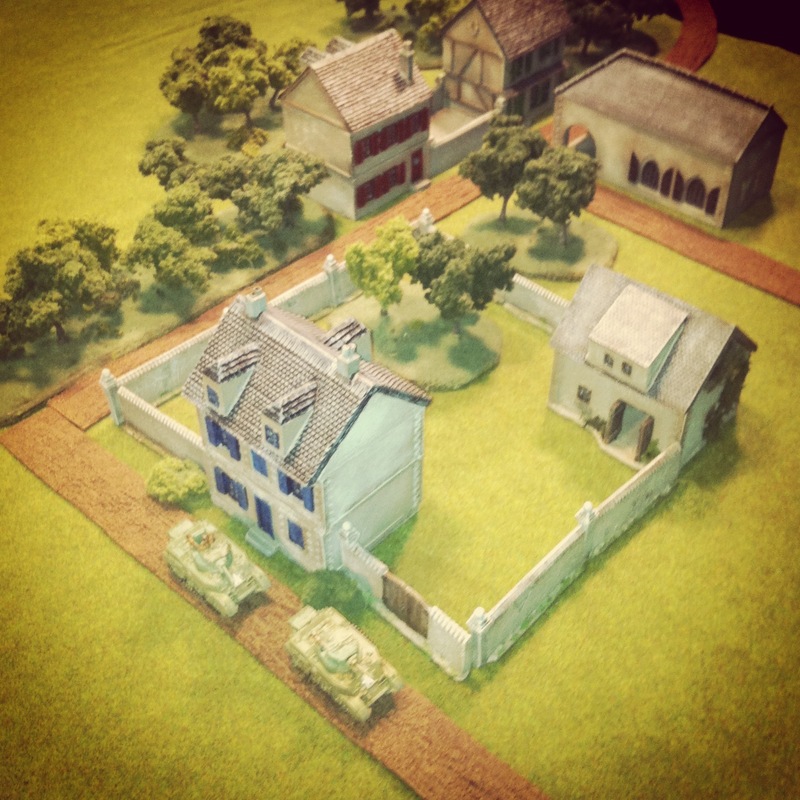 With a frequent summer guest of the Metropolitan Wargamers club leaving NYC for home in Florida this coming week, the two of us got together this past weekend to have a go at the scenario. 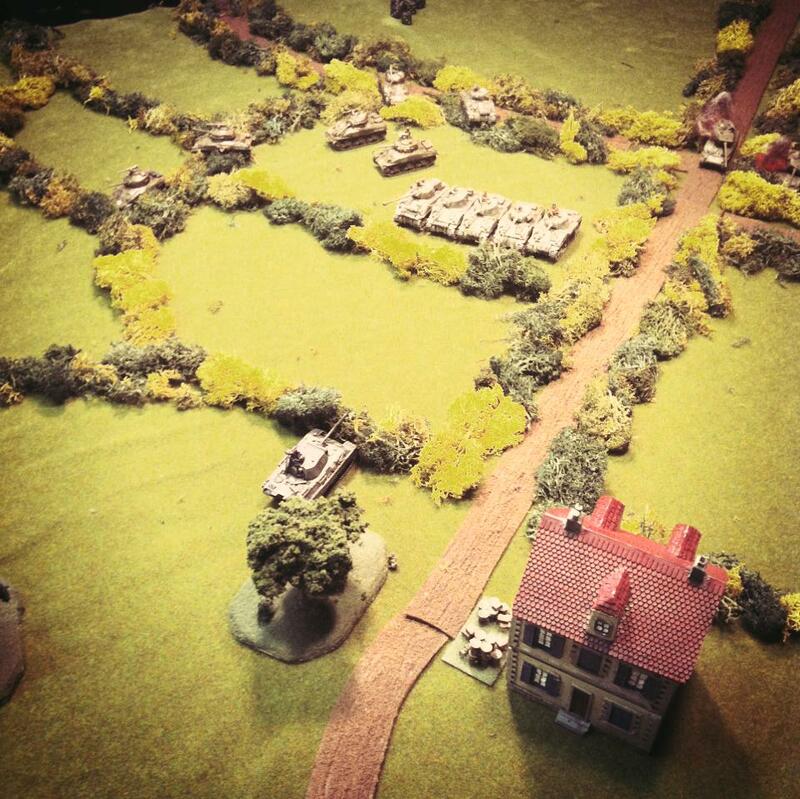 As per the rules, the small 4′ x 4′ playing area is set with fields and roads heavily crisscrossed with the high bocage hedgerows of Normandy in which I love to set my games. 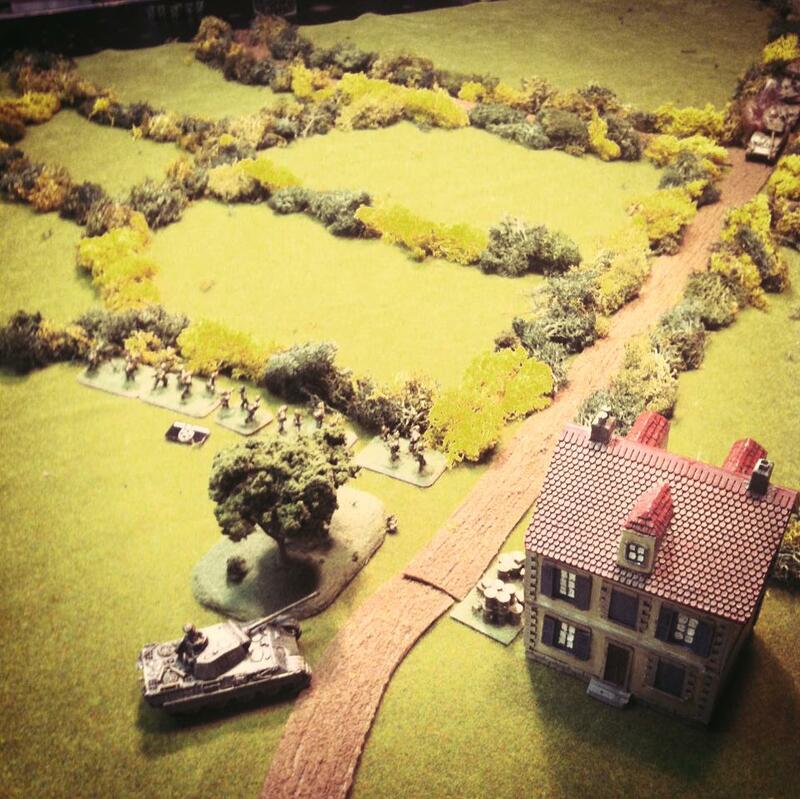 Barkmann’s tank and his supporting Panzergrenadier platoon begin dug into positions around a small farm at one end of the board. 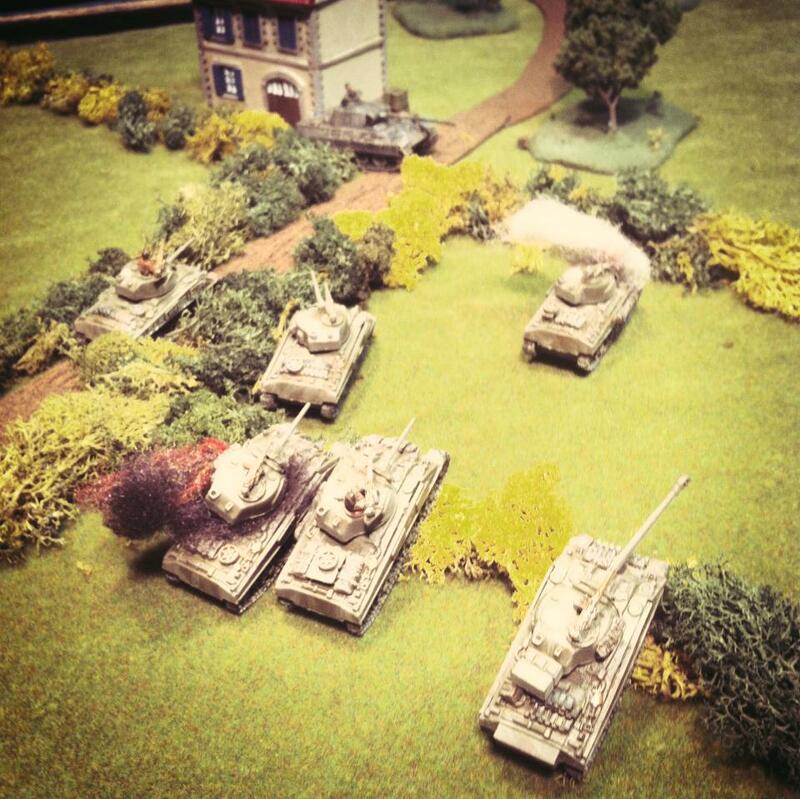 In the opposite corner, the US tank command group and their first platoon of M4A1s begin the game slowly rolling down the narrow road but blocked by a burning tank. The first platoon is strengthened by the presence of Staff Sgt. Lafayette Pool, another special figure offered from FOW. Historically, Pool wasn’t at this engagement but the inclusion of the hard-charging tank ace from Texas helps balance the scenario a bit. 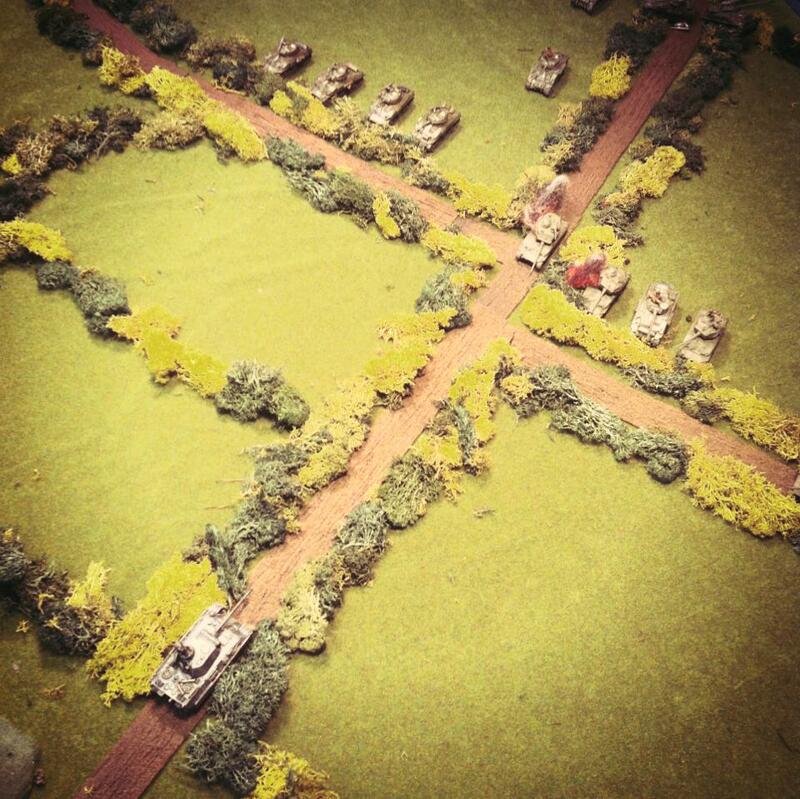 Two larger platoons of Shermans lie in the column off the board but enter on turn two and three. The Americans need to keep things moving and Barkmann’s there to stop them. 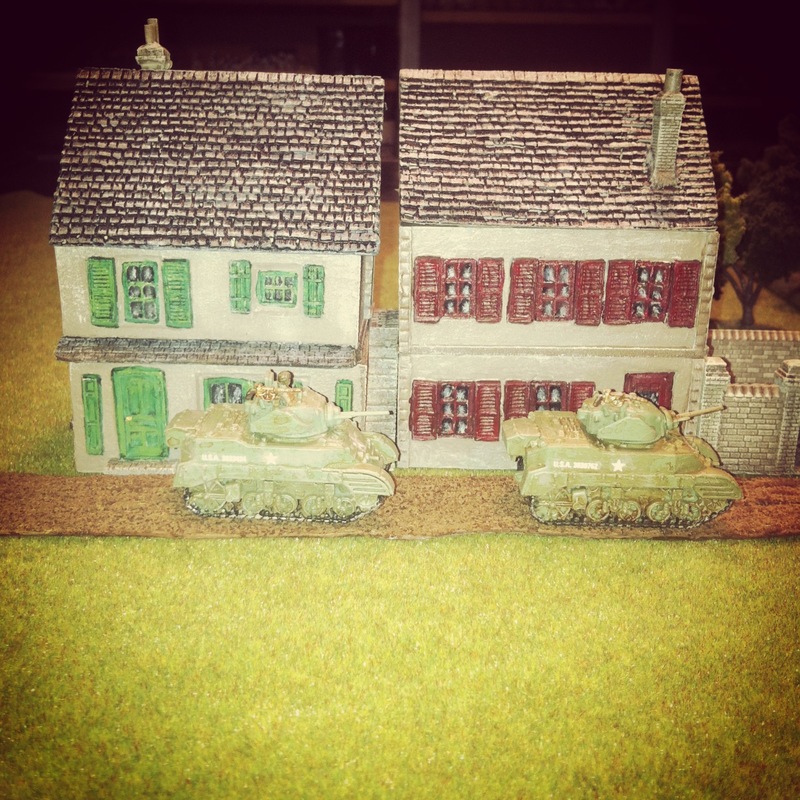 With the first turn, the US armor column begins down the road toward the farm objective in the near distance. Barkmann lies in wait behind a small copse of trees with the Panzergrenadiers gone to ground behind the bocage. 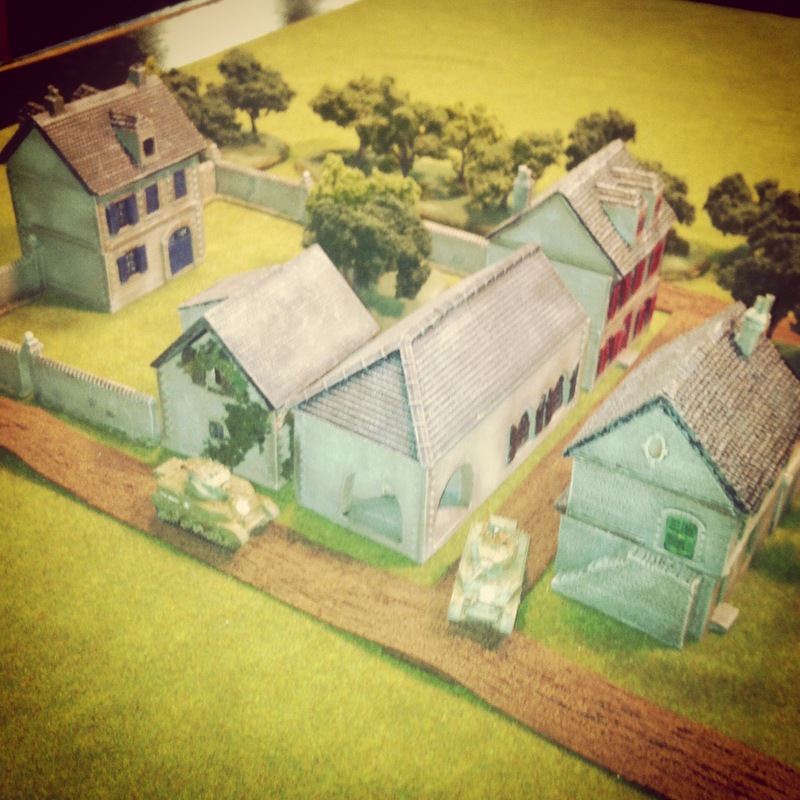 In the next few turns as the Americans slowly moved over the dense bocage lining the roads, the US plan became clear. 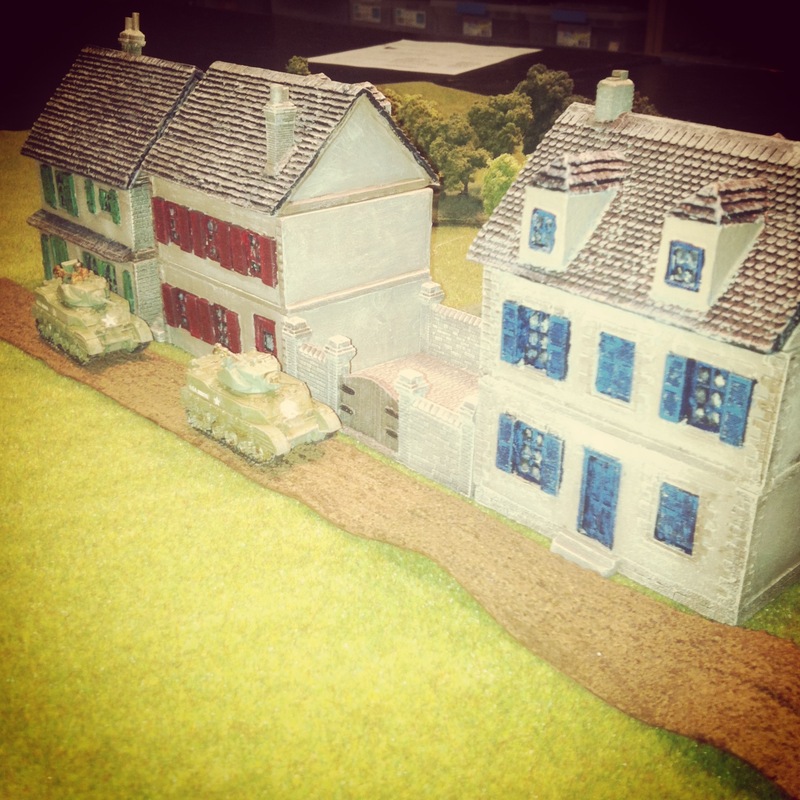 The command tanks and Pool’s platoon headed toward the house and the German right flank. The remainder of the Shermans broke toward the German center and left, bogging repeatedly along the way. In the meantime, Barkmann moved to the far side of the farm house to protect his side and line up several shots on Pool’s platoon. With the Americans splitting in two directions and the German infantry safely in the house, Barkmann took several side shot’s at Pool’s platoon and then rode bravely to the road to begin taking shots at the approaching center Shermans. 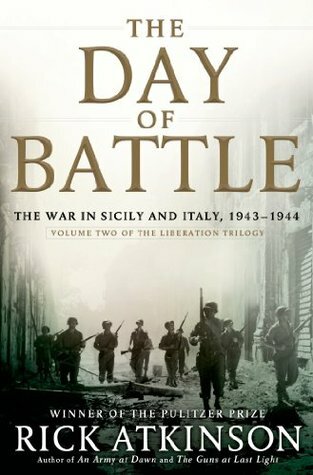 As Pool became the final survivor of his platoon, Barkmann swung his attention back to his left flank and the bulk of the closing US force which had freed itself from a series of challenging bogged turns. 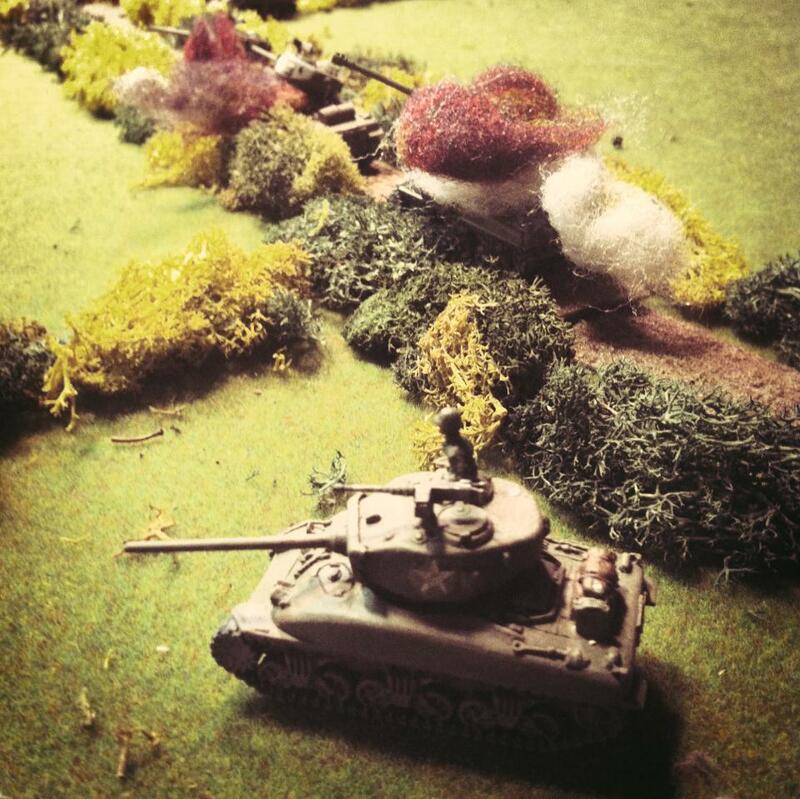 As the two largely-intact surviving Sherman platoons continued to attempt a flanking move on Barkmann, his Panther was forced into movement each turn to align shots and stay covered. 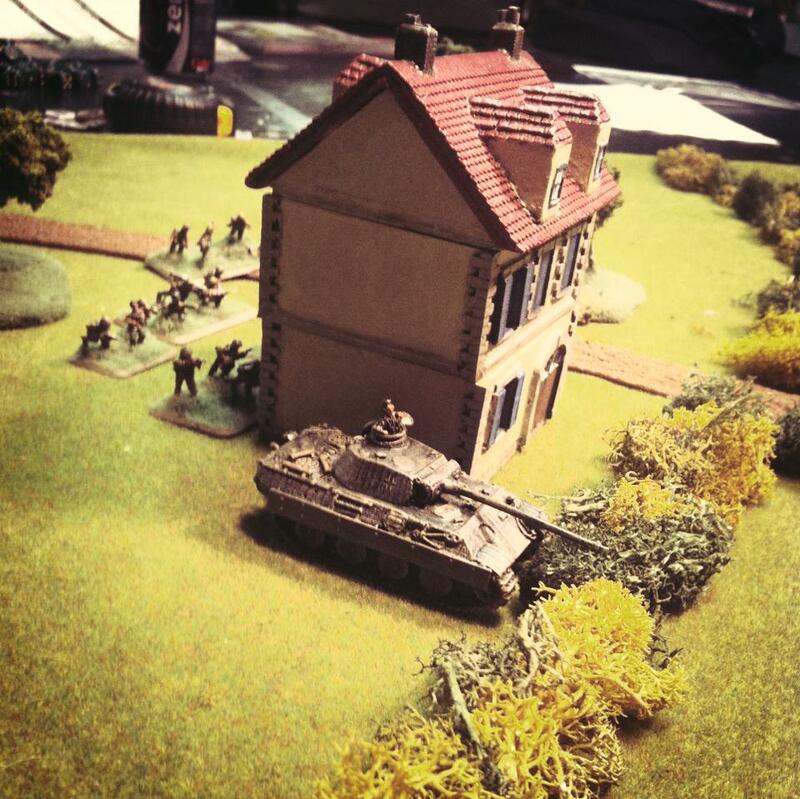 Pool also managed to pour fire into the farmhouse with his main gun, eliminating some of the Panzergrenadiers before fleeing the table on a failed motivation test. With the twelfth and final turn, Barkmann had backed himself up to the house to protect the objective and eliminated a couple more tanks along the way. Had there been one more turn and roll of the dice, and the game would’ve gone for the Americans. 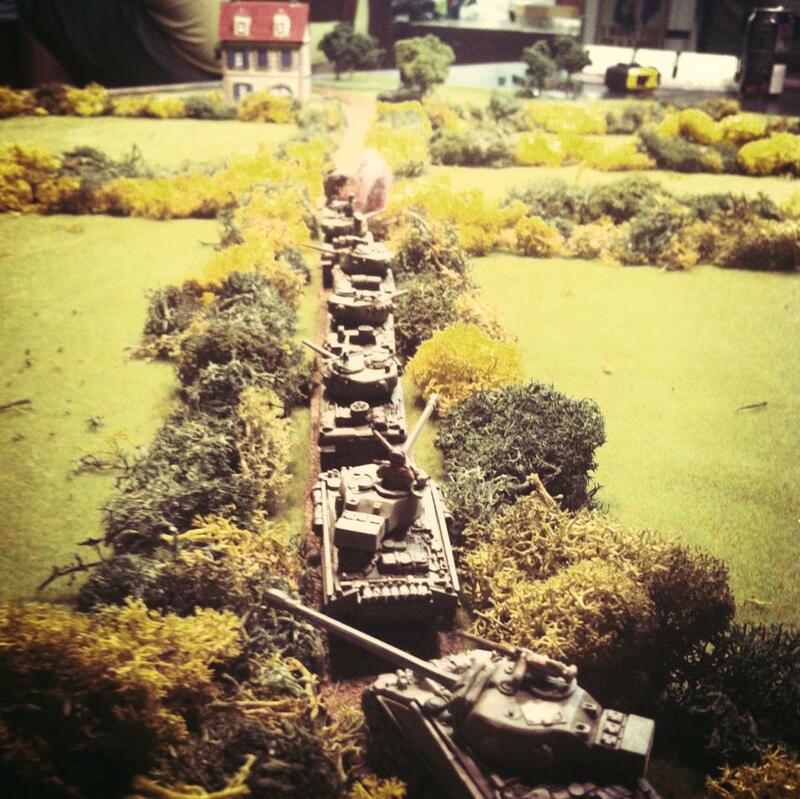 After the large Total War scenarios at the club the previous weekend, it was a welcome break to play a small yet engaging battle with a limited amount of models to command. 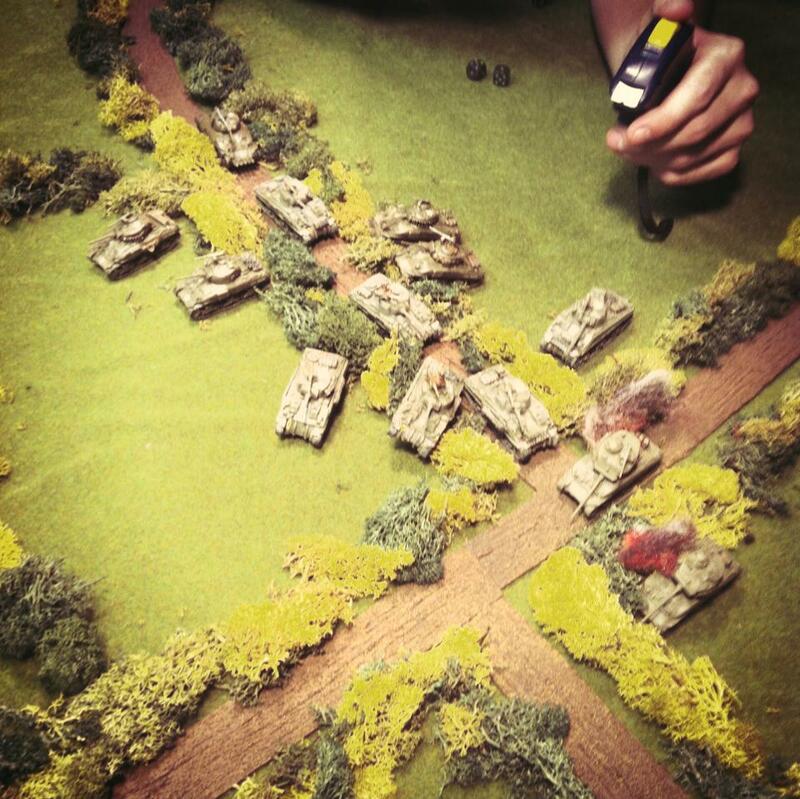 The bocage is the great equalizer in the scenario, providing alternate turns of benefit and frustration to each side as movement is stalled and lines of sight are blocked. 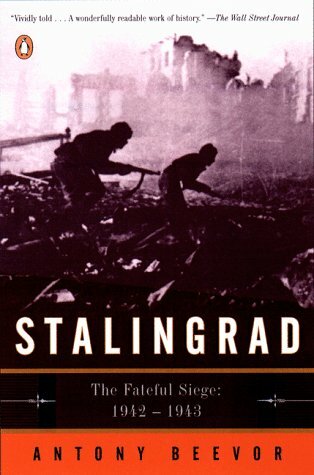 Having read a number of historic accounts of the field-to-field fighting throughout Normandy in the spring and summer of 1944, the Barkmann’s Corner scenario went a long way in showing that choosing where you fight can be one of the most important factors in the outcome.